VLC is my favorite Media Player and it has been there in my Windows PC since ages now and I am quite good at those VLC Keyboard Shortcuts and use them quite often and easily got rid of all those right clicks and huge preferences menu where you can’t search for the simplest options around. 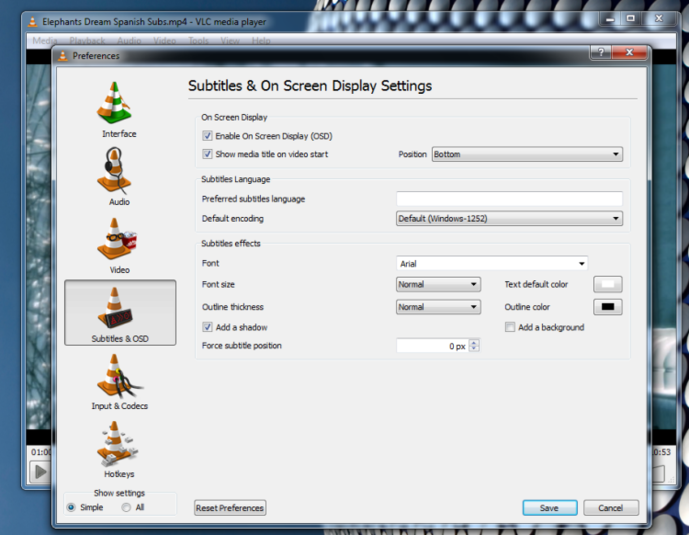 VLC Media player or the VideoLan media player is a freeware and is developed by a team of developers from all across the globe. You can get the most needed updates quite regularly. It has been estimated that there are millions of VLC downloaded so far. 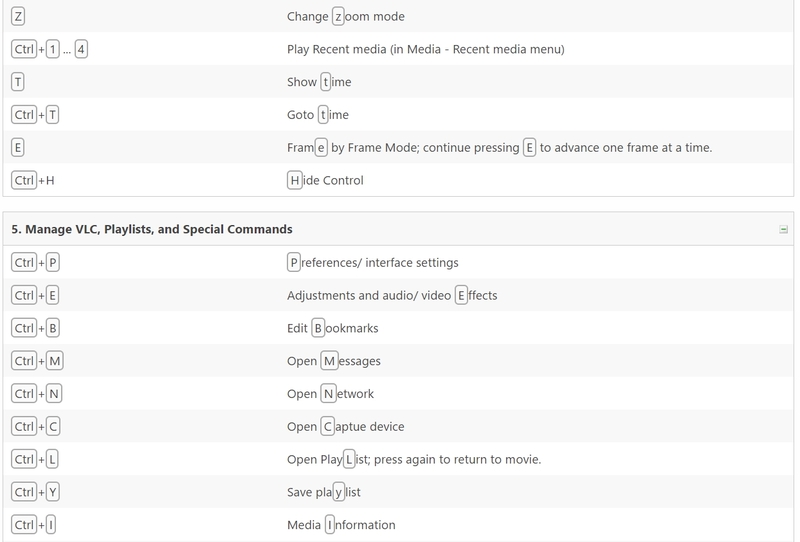 So to be more productive its quite necessary for you to learn the VLC media Player Keyboard Shortcuts which can be used on Windows or Mac OS. We here are bringing the 50 Best VLC Shortcuts that will make your life easier then before and lets you get rid of that Microsoft Groove Music player from your Windows 10. You will not have to go back and found your mouse to right click and enter and ever confusing VLC player menu which will lead to no where and a person into it ends up wasting his time. Ain’t this screenshot below a total mess ? I will make it easier for you to see the most used VLC Shortcuts first and latest I will simply post the random ones which may be helpful in long run. The “F” key can be used to toggle between full-screen. Mostly used to pause and run the video. Used to change the screen resolution of the video being played. 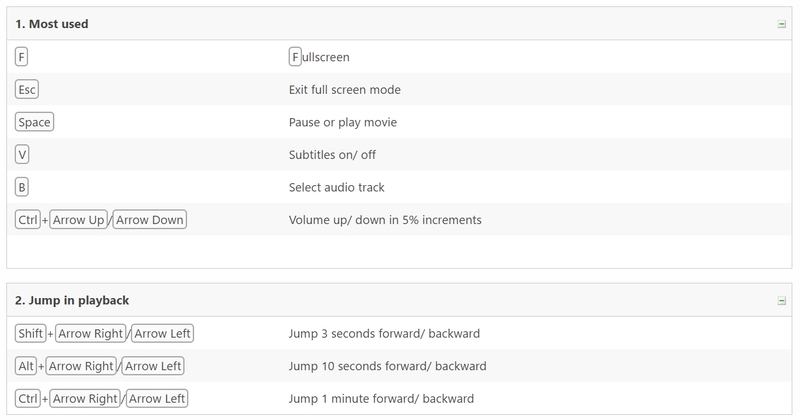 You can choose the Default, 16: 9 or even the 4:3 with respect to the screen you are using. Used to zoom in to any video at any moment. T is the one I use mostly while in full screen just to see the Time remaining or elapsed. More shortcuts have been posted here included their actions too. 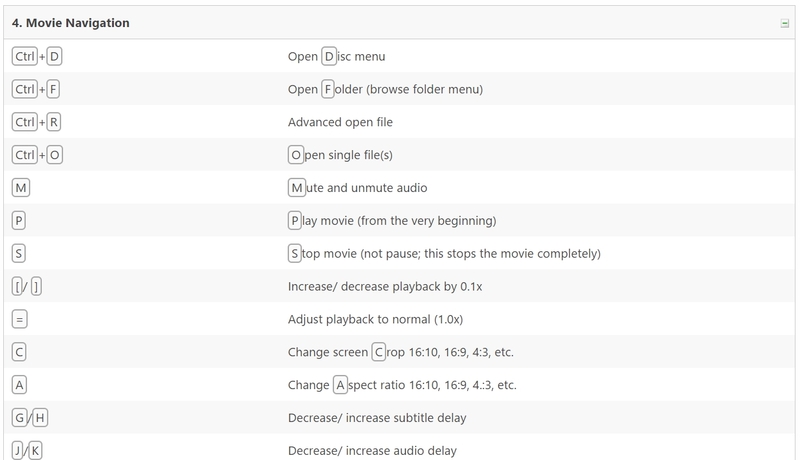 If you like all the above 50 Best VLC Media Player Shortcuts then you can like our post and make sure to share it too. Meanwhile you can read about the best tricks of getting faster streaming enabled on the VLC media player.